Lately, there has been a lot of buzz surrounding Yahoo! CEO Marissa Mayer and Facebook’s COO Sheryl Sandberg as both are women in high-powered roles. Perhaps, some of the debate had something to do with last March being Women’s History Month or rather their prowess as leaders have put them in the limelight. Nevertheless, this debate has motivated me to take a look into current online trends among women as a whole. What is the effect of women in social technology? Women spent 80% of all sport apparel dollars and controlled 60% of all money spent on men’s clothing. The graphic below also shows that Hispanics, the fastest growing minority ethnic group in the U.S. over-indexes in social media use. Women not only represent the majority of the online market,but also 85 percent of purchasing in the U.S. They are worth more than $5 trillion in consumer spending power, and are increasingly taking on leadership roles and leveraging their decision-making power as digital influencers more than ever before. 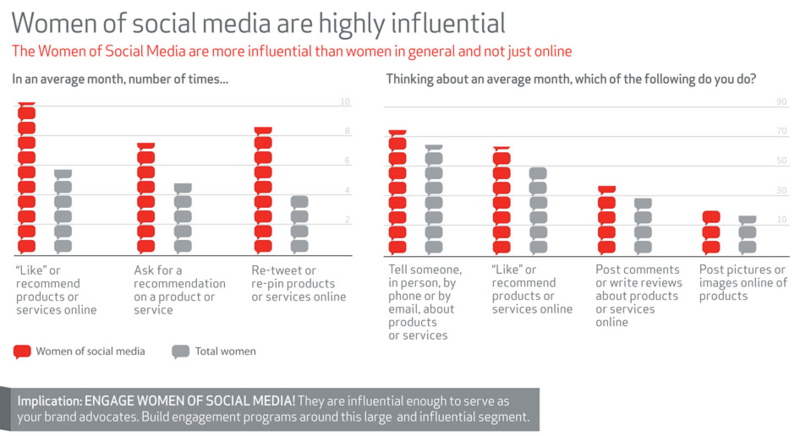 Women use social media to build strong online connections, especially with bloggers. Together, they push brands to develop strategic marketing campaigns that are tailored to the female audience. Surveys have shown that women are more likely to purchase brands they follow, and use social media to engage with brands, find promotions and keep informed about new products and trends. Some brands and organizations are embracing the influence that women have online and their potential to create a social movement. 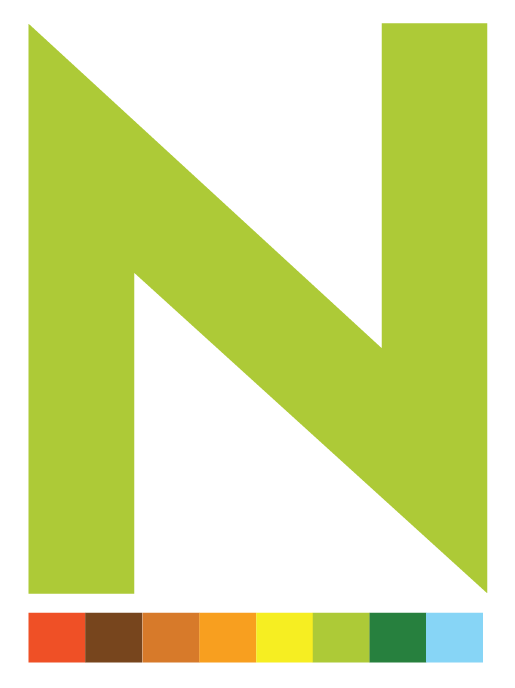 For instance, the National Institutes of Health launched a Facebook campaign to educate and encourage women to protect their heart health, as well as influence others to do the same. Degree is also leveraging the active women on its Facebook page and inspiring them “to move” and share their experiences. As a bilingual Latina who speaks mostly English both at work and socially, I still feel more of an affinity with brands that have developed a sensitive, well planned Spanish space. As a good example, P&G’s Orgullosa has a fresh approach of today’s Latina life, interests and passions, which I relate to more than the English P&G marketing strategy. Dial soap has recently launched a Facebook page in Spanish that features promotions, giveaways and images that evoke the relation between women’s and mother-child ties: “What’s your first memory of Dial? Is it mom washing your hands after playing outside? Or Washing your little one’s hands?” When it comes to choosing a product or becoming a loyal follower of a brand, I tend to support those companies that have made an effort to develop an emotional connection with my culture, traditions and values. 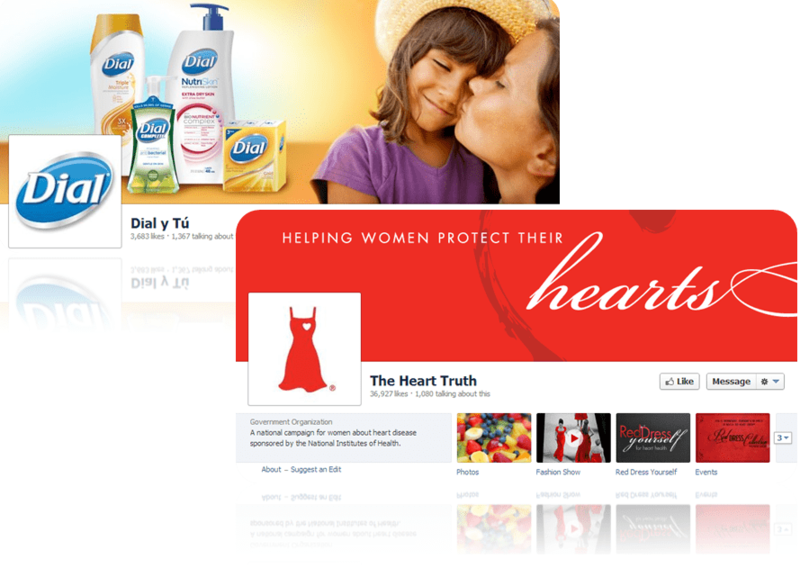 Top: Henkel/ Dial Soap’s Facebook page in Spanish. Bottom: The National Institutes of Health’s campaign for women. As women continue to influence online and offline purchases, brands should develop meaningful strategies to create online communities where women can communicate openly and engage in conversations about these social sensibilities. It is evident that digital communication has forced brands to target women outside of the box—creating campaigns with substance that deliver on more than just a pretty image. The quest for brand loyalty and online influencers is fair game in today’s digital world, and everyone from small business to large corporations needs to get in on the action. Do you have a page or campaign designed for women that you would like to share with us? Let us know in the comments section below. Next PostWhat’s The Buzz About Facebook’s Graph Search Tool?